Emirates Data Clearing House (EDCH), a subsidiary of Etisalat Services Holding, hosted the seventh GSMA Wholesale Agreements and Solutions Group (WAS#7) in Dubai from March 19-22, featuring keynote speakers and an update from the GSMA Technology Group on industry-wide issues affecting all GSMA work. Emirates Data Clearing House General Manager, Nasser Salim, encouraged attendees to collaborate and "take steps to improve our industry." Mr. Salim extended a warm welcome to the guests of WAS#7 during his opening speech at The Grand Hyatt Dubai hotel - a fitting venue within the region's smartest and most developed city. Some of the companies in attendance for the first time became GSMA members just to be able to participate in this edition of WAS#7 proudly hosted by Emirates Data Clearing House. 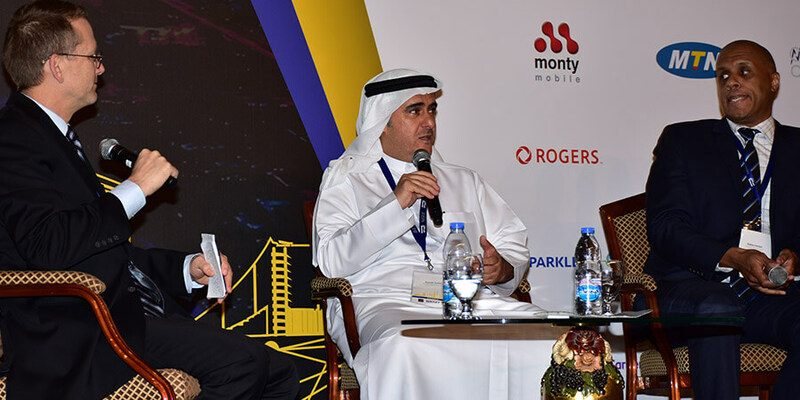 The event gathered over 1,500 delegates from 250 countries onsite, significantly more than the 1,200 expected attendees, all eager to participate in the engaging panel discussions and networking areas. More than 30 exhibitors participated in the event, including some of the biggest brands in telecom such as Spanish telco giant Telefónica, voice traffic solutions firm iBasis, Russia's Megafon, French telco Orange, and Sweden's Telia and Tele2. The GSM Association (GSMA) is a trade body that represents the interests of mobile operators worldwide. Approximately 800 mobile operators are full GSMA members and a further 300 companies in the broader mobile ecosystem are associate members. The organization has a regional HQ in Dubai. The Wholesale Agreements and Solutions Group have two face-to-face events per year, one in Europe and one outside of Europe. The Wholesale Agreements and Solutions Group, this year hosted by Emirates Data Clearing House in Dubai, is responsible for operator-to-operator interoperability (including internetworking and roaming) to provide GSMA members with a consistent, reliable GSM service for members to offer their customers. The Group develops roaming and interconnect agreement templates and wholesale charging principles. Emirates Data Clearing House has been associated with the GSMA since its inception in 1994, working closely with the organization, particularly when it comes to roaming standards, as EDCH was initially created by Etisalat to collect all of the data and information for Etisalat's roaming customers when they traveled abroad. Emirates Data Clearing House now operates as its own entity, and provides cloud-based roaming and revenue management services to over 60 telecom carriers worldwide. "At EDCH, we value this opportunity to meet with our industry colleagues to shape the future of mobile communication," Mr. Salim, a former Etisalat executive, said at the event. "I would like to encourage you to take advantage of this event to speak with your international partners and take steps to improve our industry." The event kicked off with discussions around transformation of the telecommunications industry. During a panel discussion, Mr. Salim shared his perspective on the growing popularity of Internet Protocol (IP). "I think everything will be IP going forward," he said, adding that soon there will be no need for 2G and 3G, as the spectrum can be "allocated for other more useful purposes." EDCH General Manager Mr. Salim also emphasized the significant role of OTTs (over-the-top players such as Skype) in driving operators to transform due to stiff competition. "Young people are the ones to jump on innovative new ideas in technology," he said. "This kind of force coming from the younger generation is putting pressure on the operators and is pushing them to change, by increasing their bandwidth and increasing their performance. I think the evolution of operators goes hand-in-hand with the evolution of consumer demands and trends." Ruben Iversen, Director Product & Engineering at Yaana Solutions, a firm involved in the development of advanced data analytics products for the telecom industry, agreed with Mr. Salim that "everything will eventually be IP, a reflection of how so many people use IP services today on handsets." Voice and SMS traffic is declining, and this signals the move to IP around the globe, he said. Iversen's view was reflected by Ammar Hamadien, Head of Strategic Engagement in the Middle East and North Africa for the GSMA, who agreed that we are "moving to an all IP world." Today's consumers are demanding and tech-savvy, he said, and they demand a seamless experience when using their telecom services. "In this region, we have a large percentage of the population that is under 30 years old, which translates to demand in IP and internet services. We are moving toward education that is mobile, health services that are mobile, in addition to social media demand. I think that will force the players - primarily mobile operators - to collaborate, and think outside the box more, to come up with competitive strategies." "Today we are moving towards a multi-stakeholder industry - it's not just mobile operators anymore - OTTs are coming in offering much better customer experience at a lower cost," Hamadien added. "As industry players, we need to rethink our business models." But not all consumers are getting a fair share of technology innovation. Stanley Manzini, Director of Product Management at Emirates Data Clearing House called for the GSMA to "unlock the power of new technologies" to drive economic growth and empower marginalized people. "All of us are here to make the end user experience of consumers better," he said, emphasizing the need for communications technology to benefit everyone. "We are all here to see how we can add value to our customers - the people who bring value to us," he said, highlighting the need to respect end users and not mislead them with overambitious promises. "This is about making sure that future generations are covered for tomorrow. If we meet together and make it easy for future generations, my grandchildren will be able to find a job in your company, because you were able to generate opportunities for them." Hatem Dowidar, Etisalat's Chief Operating Officer and chairperson of the GSMA Technology Group, took the stage to talk about the different forces affecting the telecommunications landscape in the Middle East and Africa (MENA). 5G is hot topic in the region, as well as Internet of Things (IoT) and virtual reality (VR), he said. "This region's characteristic is that it wants to be first in everything, from the tallest building to flying taxis," Dowidar said. Consumer habits are also evolving in the region, he added, touting Saudi Arabia's high YouTube consumption. "Etisalat in the UAE sets the pace for the region in many ways," he said, also mentioning Saudi Arabia's Saudi Telecom Company (STC). These two major operators, as well as other players such as Zain Group "set the pace for the region." To maintain long-term sustainability, Dowidar said telcos are trying to protect their revenues and generate new revenue streams where possible, by capturing opportunities for customer optimization. "This group has a lot to do with protecting existing revenues and also trying to optimize costs, and is very engaged in the key aims we are trying to achieve in the industry," he added.